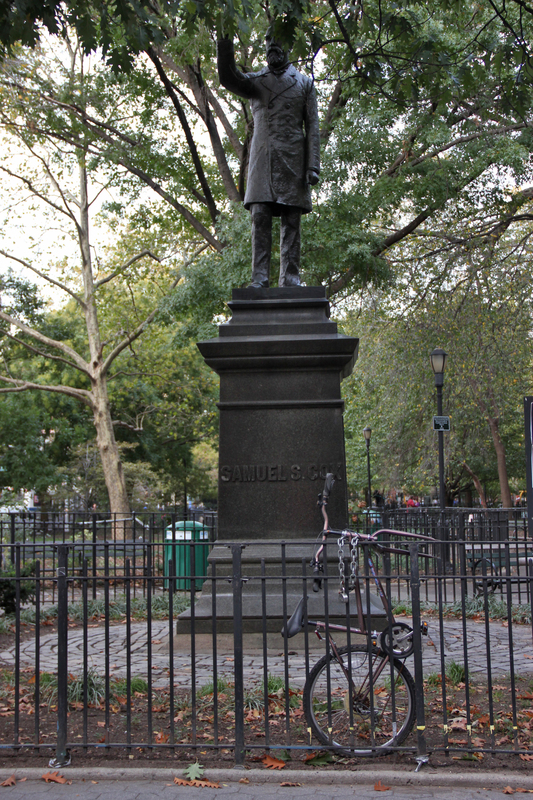 The statue of Samuel S Cox can be seen in the background of the photo Allen Ginsberg took of Jack Kerouac that graces the cover of Allen Ginsberg’s highly recommended photography book ‘Beat Memories – The Photographs of Allen Ginsberg’ (DelMonico Books/Prestel). I have the photograph of Kerouac with this statue hanging in my office! I never really thought about what or where the statue was, though, other than that it was very New York City. 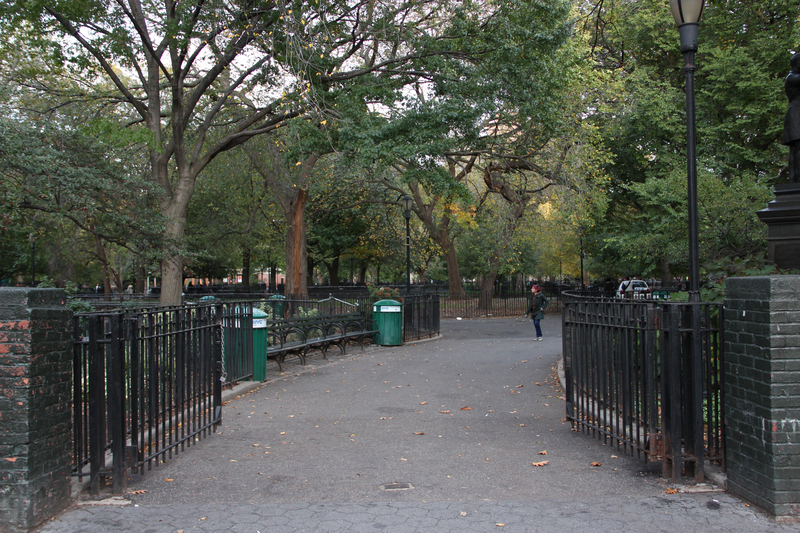 A few years ago some friends I volunteered in Tompkins Square to paint all the railings. It was so much fun and a great way to give back to the city!